Happy Monday! 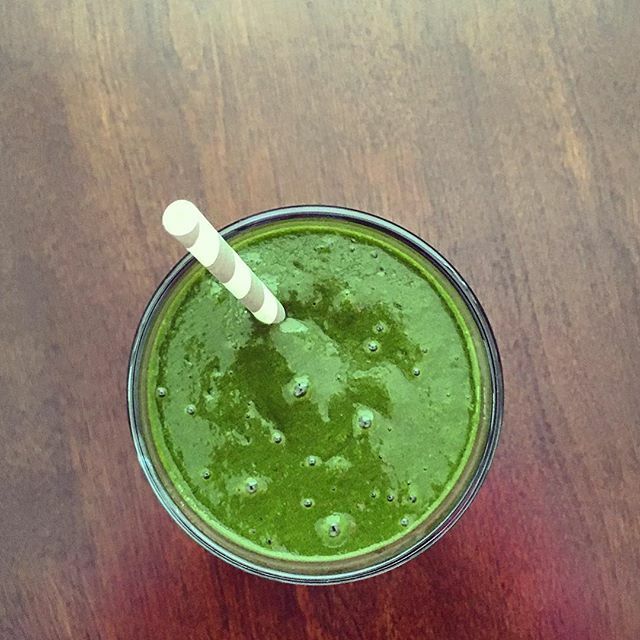 I wanted to share my favorite anti-inflammatory green smoothie recipe that leaves me feeling detoxed, replenished, and energized; what better way to start your week?! What I love most about this smoothie is that it does not deprive you of any nutrients or calories; it is a complete meal with both protein and healthy fats to keep you full and feeling great. The recipe calls for turmeric, a spice which contains a compound called, curcumin, which is the most powerful anti-inflammatory compound in the world! Studies have shown that turmeric has properties for fighting all sorts of medical issues even better than some prescription drugs. Adding turmeric into your diet is easy to do and a huge win! Avocado: is a great addition to your morning smoothie because of its nutrients and healthy fat content. Dr Lipman suggests having 1/2 avocado daily with breakfast for sustained energy and fullness. It adds an amazing creamy texture to your smoothie as well! Maca Powder: is a great superfood that is known to boost energy, libido, improve skin & hair and even balance hormones. It adds a great strong flavor that compliments the ginger and turmeric as well. Fill up your blender with all of the ingredients and blend until smooth and creamy.